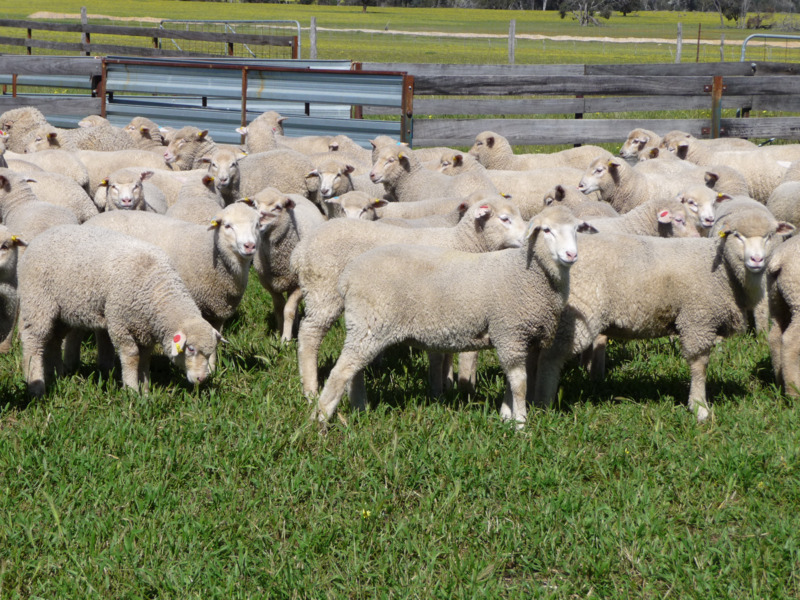 Examination of agricultural regions of Victoria where lamb backgrounding is established suggests that there is some potential for the high-rainfall south west region of Western Australia to profitably background lambs, supplied with store lambs from regions like the Great Southern. This could significantly grow the lamb industry in Western Australia due to better supply management through the year but also make the industry much bigger in total and more profitable. Forward contracts would have a role in profitable lamb backgrounding. Backgrounding of lambs in Western Australia (WA) could be an intermediate arrangment for lambs that have not yet achieved slaughter weights. This could even out lamb supply to processors through the year and leave more feed on breeding farms for the ewes to increase lamb production. To determine whether lambs can be successfully backgrounded, regions of Victoria where lamb backgrounding is established were compared with areas of WA. This is a summary of a report by Graham Lean, Agrivet Business Consulting, commissioned by the Sheep Industry Business Innovation project. How would lamb backgrounding benefit the WA sheepmeat industry? there would be potential for more lambs to be produced and finished, hence growing the industry overall with the result of increasing the overall value of agricultural production in WA. Spring turnoff of lamb has been found to be more profitable than other times of the year for WA producers. Currently, there is not the financial incentive for producers to alter their production system to target out-of-season production, which could even out the lamb supply. It has been found in WA that while recent prices increased from spring to other times of the year by a premium of approximately 3.3% per month, an estimated premium of up to 6.2% per month was required to match the return from spring turnoff of lamb (Young, J Producing out-of-season lamb - what are the price benchmarks). Another way to achieve out-of-season supply is for producers to sell their lambs as stores to other producers that have feed to background them until the lambs are finished out of season. Such a backgrounding system in WA could fulfil the processors’ desire to have a more even lamb supply throughout the year. It may also enable farmers that currently don’t produce lambs to utilise farm resources that are under-utilised, and that store producers may not have access to. It may also mean that new on-farm resources could be developed that could enable profitable lamb backgrounding to be undertaken. Although a number of backgrounding operations in Victoria may involve a period of backgrounding on crop stubbles or on dry pasture and then finishing the lambs in a feedlot, as could occur in WA, this does not occur in the majority of Victorian operations. Further, while most prime lamb enterprises in Victoria are running Merino (fine wooled) or Merino cross ewes mated to a terminal sire, the genetic makeup of much of the WA Merino ewe flock is nearer to a dual purpose sheep rather than a fine wool sheep. The majority of store lambs in Victoria are Merino first or second cross. Forward contracts are an established part of Victorian lamb backgrounding and all of the farmers interviewed for this report were adamant that they would not background lambs without a forward market. What does the WA lamb industry need to do?